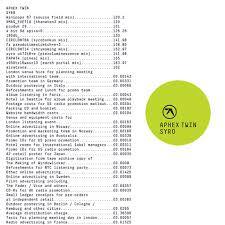 Richard D. James, aka Aphex Twin, hardly needs any introduction. One of the acknowledged masters of the electronic music scene, he was extremely prolific in the 1990s before going mostly silent for over a decade. 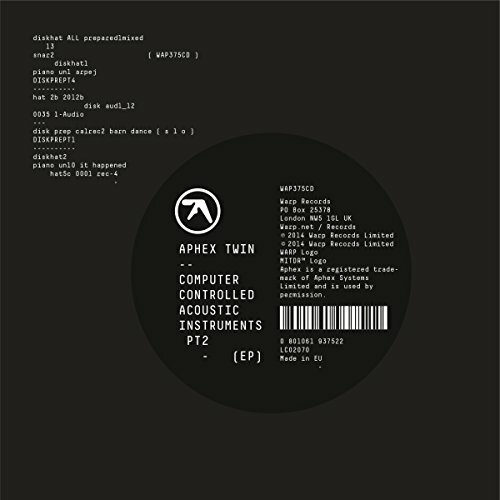 That has recently changed, with the release of a new album, Syro, in 2014, and an EP, Computer Controlled Acoustic Instruments pt2, in 2015. Now he's back again with another EP, Cheetah, and once again he's done something surprising, by releasing something that sounds almost nothing like his last set. The name and the music are both informed by the inclusion of the Cheetah ms800 digital synth, which produces a unique bass sound. Unlike CCAI2, which was extremely adventurous in places, Cheetah finds James content to settle into groove after groove, with most of the tracks blending together into one long head-bobbing session. In that regard, it shares some similarities with his mid-2000s work as The Tuss, with his utterly unique sounds (thanks to custom hardware) and quirkily wobbly percussion on display. 'CIRKLON3 [Колхозная mix]' and 'CIRKLON 1' are especially guilty of this. The former wanders about, all wormy and twisty, with off-kilter key stabs, yet the latter slithers into a delicious rhythm that outperforms anything from those earlier releases. Lead track 'CHEETAHT7b' actually throws things all the way back to the 80s and James' first Aphex Twin release, Select Ambient Works 85-92, with a sweetly chiming melody over deep bass and percussion, and bits of ethereal nothingness floating through the mix. And 'CHEETAHT2 [Ld spectrum]' has a bit of a Kraftwerkian, 'Trans-Europe Express' thing going on with its metallic percussion. 'CHEETA1b ms800' and 'CHEETA2 ms800' are a pair of tantalizing but depressingly short audio experiments. Both edge into frazzled, numinous territory before dissipating just as they're getting interesting. I feel like these were parts of something bigger, and I'd desperately like to hear the rest of it. The set closes with another smooth track, '2X202-ST5', with more bass-heavy head-bobbing and extraterrestrial synths. So what we have here is a very solid, cozy set that doesn't break any wild new ground, but treads the familiar with skill and ease. I'm honestly glad to hear James ease off on the wacky and get back to his roots a bit. He really emphasizes the bass in a lot of these tracks, to excellent effect. This is clearly the work of a man completely comfortable with his art, and not beholden to any particular expectations. He didn't have to go bonkers yet again, and he didn't. And it totally works.